Everything startet in the year 1997, when some collegues banded together, founded Piranha Bytes and planned to develop the world's best game. The result of all this effort was released in march 2001 under the title Gothic and was revolutionary in many ways: Never before there had been a roleplaying game with such an impressive game world. But which technology was responsible for the great experience in Gothic and how did the story continue? Flashback, 1997. Alex Brüggemann, Stefan Nyul, Tom Putzki and Michael Hoge are working at Greenwood Entertainment and dream of developing their own game. One day three students of the university in Oldenburg show up - Ulf Wohlers, Dieter Hildebrandt and Bert Speckels - and present their engine. Later the four employees leave and found Piranha Bytes. They license the engine of the three students to realize their vision of a roleplaying game and hire the three students, who later are called "mad scientists" internally. 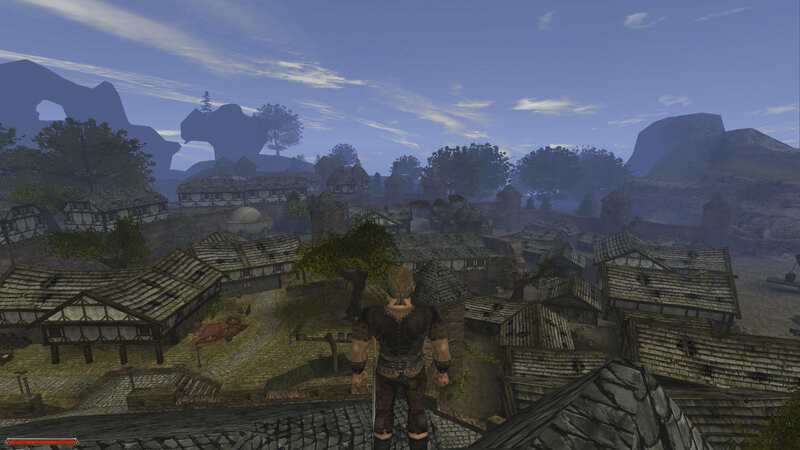 At some point, the engine gets the name ZenGin and is being improved throughout the development of Gothic, until the game is released in 2001. Until then, the three programmers might have left Piranha Bytes, but the engine stayed and powers the impressive RPG. The valley of mines of Gothic could be explored completely without loading screens, only when entering the four big dungeons loading was necessary. 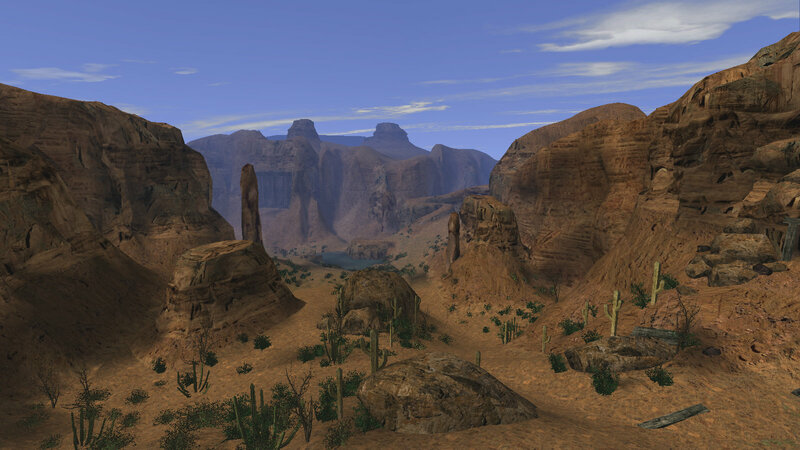 The view range in this open game world was gigantic and brought many computers to their knees. Players who gazed upon the valley with the old camp in the middle and sharp mountains in the background for the first time let their jaw drop, because an RPG in 3D still was something new back in the day. Besides openness and view distance the vertical dimension also impressed, which hadn't existed in other games like this before. The game world wasn't simply big, but also unbelievable lively: A dynamic day and night cycle and weather with realistic thunderstorms breathed life into the world, shooting stars were visible at the night sky and from time to time the magic barrier, which separated the valley from the outside world, was rumbling above the heads of the prisoners. Characters were spending the day realistically, they slept, got up, ate, washed themselves, ran around and talked with each other. Furthermore the game impressed with natural looking environments, DirectX 7 integration with hardware transform and lighting and with a beautiful vegetation, which all contributed to immersion. Gothic might didn't became a success over night, maybe also because of the high hardware requirements, the bugs and the strange controls, but developed into a secret tip. 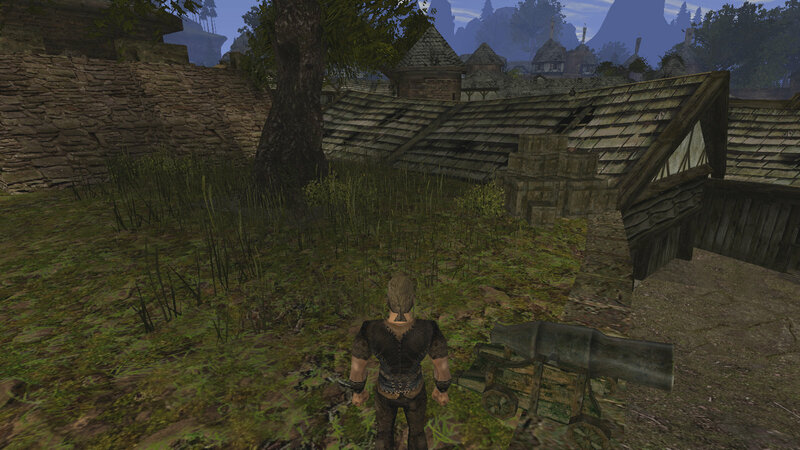 Piranha Bytes began with the development of an action game, which was suspended in favor of an addon to Gothic, which itself was later replaced by Gothic 2. It continued the story of the nameless hero, let the player return to the valley of mines and fight against dragons. Gothic 2 was released after only 11 months of development, but the graphics got visibly improved. The models had a higher polycount, the textures were more detailed and the draw distance was higher. The number of objects had been increased and the vegetation got better, which impressed with trees weighing in the wind. The game used DirectX 8 for better lighting and the water was prettier as well. There was a dynamic day and night cycle again and the game world could be explored without any loading screens, except when switching to one of the other two regions. Especially impressive was the densively populated harbour town Khorinis with it's many critizens and traders, which could bring the processor to it's knees pretty easily though. Gothic 2 had problems with bugs at release as well, but they were mostly fixed and so the game became a hit pretty fast. Ten months later the addon Night of the Raven followed, which is considered to be one of the best RPG addons of all time and transformed Gothic 2 into an immortal classic. NotR brought players to Jahrkendar, a previously unreachable part of Khorinis, in which the valley of makers and a desert canyon can be found and pirates wreak havoc. The addon improved the graphics only slightly, for example with a shine effects for metallic objects like cannons. Cut. Even as the team under leadership of Björn Pankratz had worked on Night of the Raven, the main team under Mike Hoge had already begun with the development of a true successor, Gothic 3. The ambitious plans of Gothic 3 intended a fully open game world with three continents. To reach this goal, Piranha Bytes looked for a new engine. Their eye fell on the Gamebryo engine by Numerical Design Limited, which had been developed as early as 1991 and had been used by competitor Bethesda for The Elder Scrolls III: Morrowind the last time. The Gamebryo engine had the advantage that it was more modular and better documented. Later Piranha Bytes found out however that the Gamebryo engine wasn't sufficient for all requirements like the physics system and a loading free world with arbitrary meshes, which meant Piranha Bytes developed their own engine in parallel and thus replaced the Gamebryo engine. In Gothic 3, Piranha Bytes also made use of many middlewares for the first time, like Ageia Physx for physics (later bought by Nvidia), Emotion FX2 for animations and facial animations, Miles Sound System for sound and Speedtree for vegetation. But the development of an own engine was problematic. Generally the development of Gothic 3 was a gigantic feat for Piranha Bytes. Creating a roleplaying game in a humongous game world, which can be explored fully without loading and gave the player the choice where to go, was an underestimated task for the small team of around 20 people. Gothic 3 had to be delayed for rougly a year and finally was released in october 2006, when Jowood couldn't lift the financial burden anymore and Piranha Bytes felt confident enough to release the game. 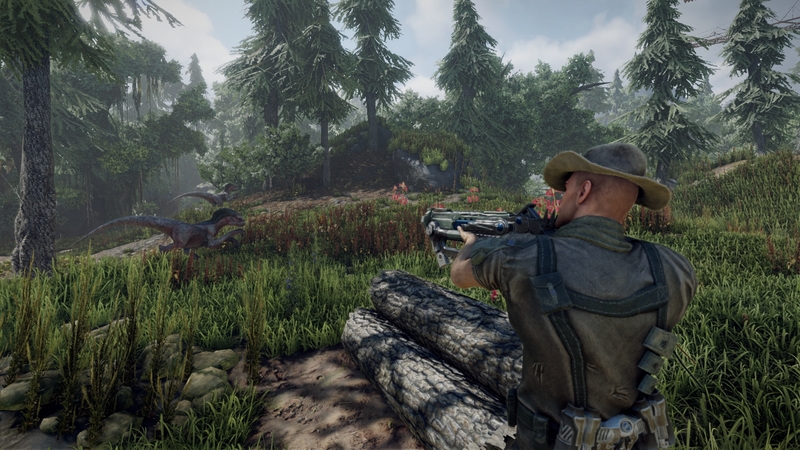 Piranha Bytes knew that the game wouldn't be free of bugs at release and originally planned to fix these problems with patches, but they had underestimated the extent of the problems by far. Gothic 3 was a technical failure, many reviews warned about the problems. The game was plagued by constant crashes, bad performance and lags, damaged save games, graphical glitches, sound bugs, quest bugs, a broken far range combat system and other. Also gameplay-wise it was noticeable the team had run out of time. The story was thin and especially the game's ending seemed unfinished, melee combat was immature and the game was unbalanced. After the early fuss settled it became obvious that the team had overreached with the project. Nonetheless did Piranha Bytes achieve a lot with Gothic 3. Despite the bugs the game worked on a basic level and would have been really good with some more months of development. 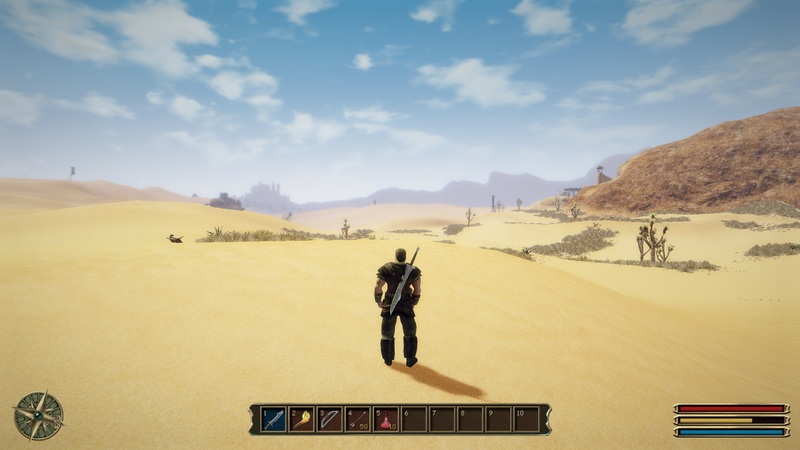 Piranha Bytes managed to develop a completely new engine in parallel to the game, which was able to stream the gigantic world without loading screens. Furthermore, all meshes were arbitrarily complex. This meant a significantly additional effort for every kind of calculations, rendering as well als physics. In connection with the streaming and the level of detail system this was unqie at the time. The engine consisted of over 1.5 million lines of code without middlewares, which had been written by 3 to 6 programmers in little over three and a half years. Graphically the game was a feast for the eyes in many areas. 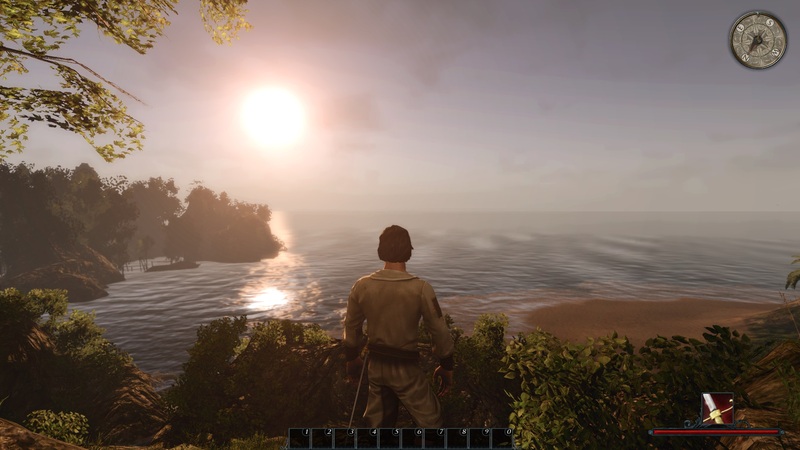 The terrain extended to the horizon, the vegetation was dense and realistic, the game shined with a dynamic day and night cycle, modern lighting and dynmaic shadows. 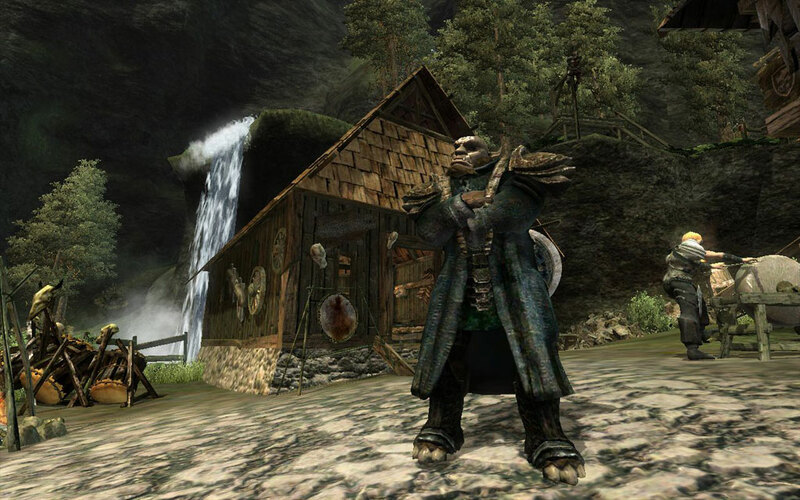 The graphics had weaknesses like the flat looking ocean, the strange body proportions and a too strong LoD though, so that Piranha Bytes couldn't reach the level of The Elder Scrolls IV: Oblivion overall, which had been released earlier that year by Bethesda based on the Gamebryo engine. This offered higher draw distances, better textures and FP16 HDR rendering, but was beaten by Gothic 3 at its strength, the the manually created and naturally looking environments. Also in theory the engine supported complex physics calculations, much more detailled meshes and a sophisticated material system in as well as the opportunity for inagme puzzles. Piranha Bytes released several patches, which repaired the biggest shortcomings. The last one was released some days before christmas 2006. Internally there were disagreements with publisher Jowood already. Piranha Bytes wanted to improve Gothic 3 in the areas of engine, story and gameplay, but the effort should have been the basis for an addon, so they didn't put too much work into a project already finished. At the same time some improvements from the addon should have been brought to the main game via patch though, also a modkit was planned. Jowood demanded from Piranah Bytes the development of a massive patch instead. 2007 it came to the separation, Piranha Bytes and Jowood parted ways and Piranha Bytes found a new publisher in Koch Media's gaming label Deep Silver. Piranha Bytes could keep the trademark Gothic, but Jowood got a temporary right for usage for several years. Some employees left the team, among them the leading programmer. Because there wasn't any hope for an official patch anymore, the fans started to free Gothic 3 from bugs. The first community patch was released quickly, many other followed, later even in cooperation with Spellbound Entertainment. The resulting version 1.6 was released in the beginning of 2008 and even sold as Gothic 3 Gold Edition. Jowood let produce an addon with the later title Forsaken Gods at indian developer Trine Games, which was released end of 2008 with bugs that were already fixed in Gothic 3 and even new ones and which isn't worth mentioning storywise. This addon got a huge patch in 2012 by the former community patch team, which had released the huge patch 1.7 for Gothic 3 in mid 2009, which brought a new balancing and improved graphics besides bug fixes. 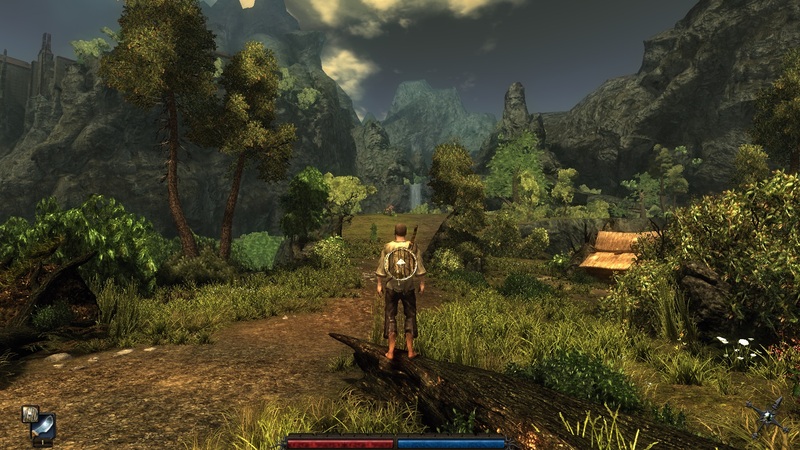 They further released smaller releases until 2012, which continued to improve the graphics with things like heat haze, soft particles, rim lighting and a HDR effect. To avoid making the same mistakes as with Gothic 3 a second time, Piranha Bytes drastically changed the development process and organisation. Fixed milestones were agreed with with the publisher, also to avoid a crunch phase at the end of the project, the team worked more organized. The game wasn't assembled out of separate parts only shortly before release, but long before release, and the quality assurance was much improved. These mechanics have survived until today in a similar form. In terms of gameplay Piranha Bytes went much more conservative ways, although they created a new trademark. The new game was smaller and Piranha Bytes listened more to the fans. 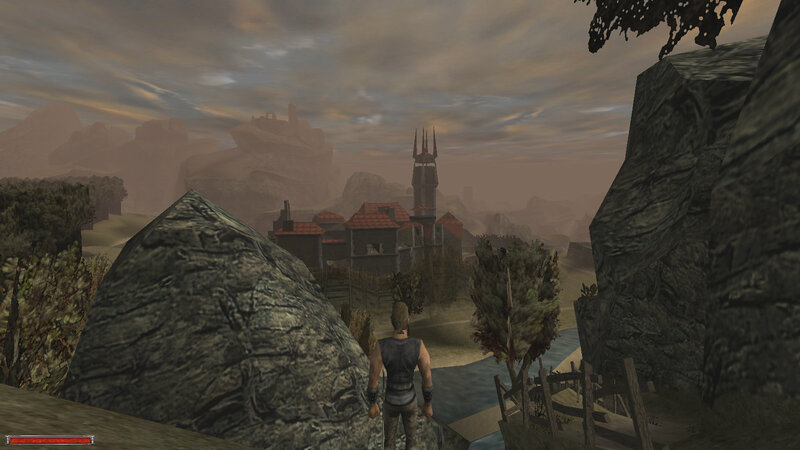 This more modern Gothic 2 was released in 2009 and was called Risen. Despite the problems with Gothic 3 back then, Risen was based on a more advanced version of the Genome engine from Gothic 3, which had been largely reprogrammed and wasn't officially called Genome engine anymore. In order to ensure the game would be free of bugs, the programmers took several actions. They thoroughly freed the engine from bugs and created a quest system for the writers which should prevent quest bugs and plot stoppers. The engine received a new multithreading system in order to utilize dual core processors as well and to support up to four cores, as well as an improved streaming, which ran on a separate core in the best case, so that lags wouldn't occur anymore while traversing the game world, but only a small dip in frame rate. The pathfinding and artificial intelligence were improved, so the NPCs could follow after the player through the bushes without problems. 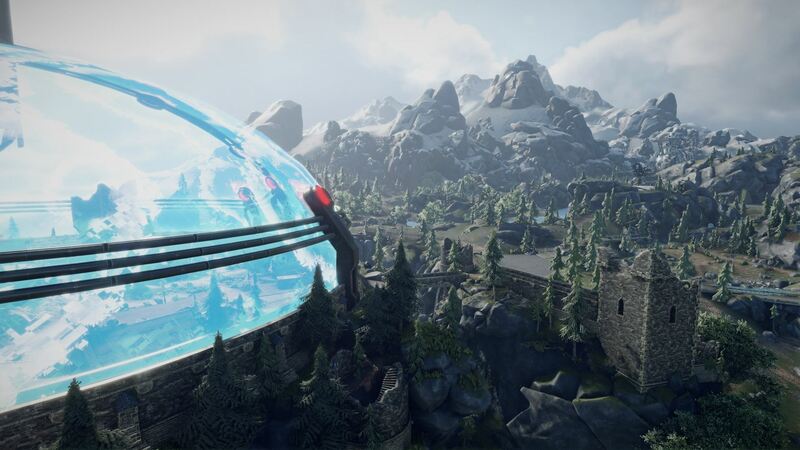 Combined with the organizational and structural steps these technical improvements led to Risen being pretty much free of bugs besides some small ones like clipping errors. Piranha Bytes' reputation was partially restored again, also because of the solid gameplay and story. Of course Risen also got graphical improvements. While they stayed with a forward renderer and DX9 with shader model 3.0 just like in Gothic 3, the graphics were visibly improved. The engine still featured a mighty system for controlling the lighting, which could be influenced by time of day, weather and region. Piranha Bytes integrated FP16 HDR rendering with dynamic tone mapping into the engine as well, which resulted in a more natural looking image. This was expanded with eye adaption, during which the digital eye has to adjust itself to new lighting conditions first, if you step outside or into a dark room. Furthermore, cascade shadow mapping with soft shadows was a new feature. A further improvement of the graphics was achieved through SSAO (Screen Space Ambient Occlusion) as well, which was used for the first time in Crysis (2007), and which simulates indirect shadowing. In addition sunbeam effects could be admired. All these improvements led to Risen able to convince us with wonderful lighting first and foremost. But the naturally created landscape of the island Faranga, which could be explored without a single loading screen, and the dense vegetation were able to impress as well. Compared to Gothic 3 the water rendering was improved too, because you're often in close proximity to water on an island, and the depth of field was improved. On the other hand, Risen was criticized for a generally somewhat outdated look, which was the fault of relatively low polygon numbers, mixed texture resolutions and old looking animations. The Xbox 360 version by french developer Wizarboy was optically disastrous however. A year later, Jowood released the official Gothic successor Arcania, which was based on the Trinigy Vision engine and was pretty free of bugs as well, but a disappointment content-wise and thus, it flopped. Jowood went bancrupt and its brands were bought by Nordic Games, who founded a branch in Austria and released a small Addon to Arcania a year later, which had been developed by Arcania developer Spellbound, who also went bancrupt. 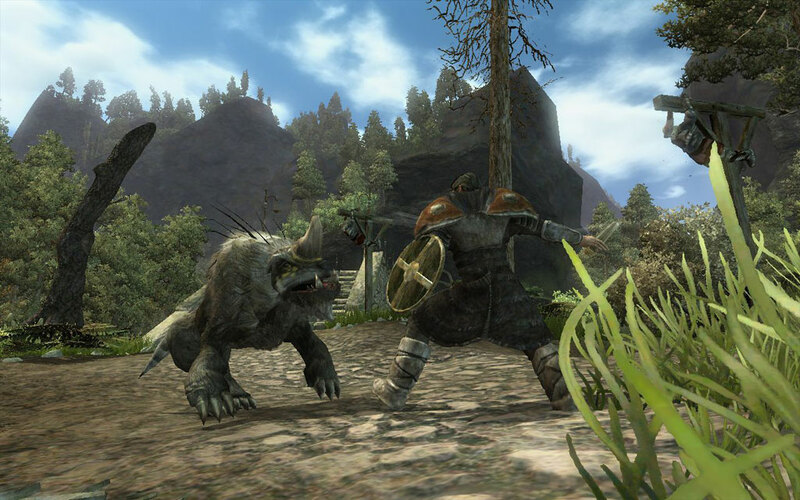 At the same time, Bethesda released The Elder Scrolls V: Skyrim, based on the newest version of the Gamebryo engine, which had been developed further and renamed into Creation engine. At that time Piranha Bytes already was developing Risen 2: Dark Waters for Deep Silver, which turned the classical Piranha Bytes gameplay upside down and offered a new setting featuring pirates. After the pretty conservative Risen they dared more again. The game's reception by fans was mixed though, because of the many changes and the weak combat system. Despite a dodge roll that was implemented with a patch, the game couldn't match it's predecessor's success. Technically the game was similarly free of bugs as the first Risen, but the graphics made a huge jump. The renderer was switched over to a so called light prepass renderer. The result was better lighting, but also the shadow rendering with cascade shadow maps, but without soft shadows, had been reprogrammed. For the first time there were three dimensional waves on the ocean and heat haze effects for fire. The sky rendering was overhauled as well. 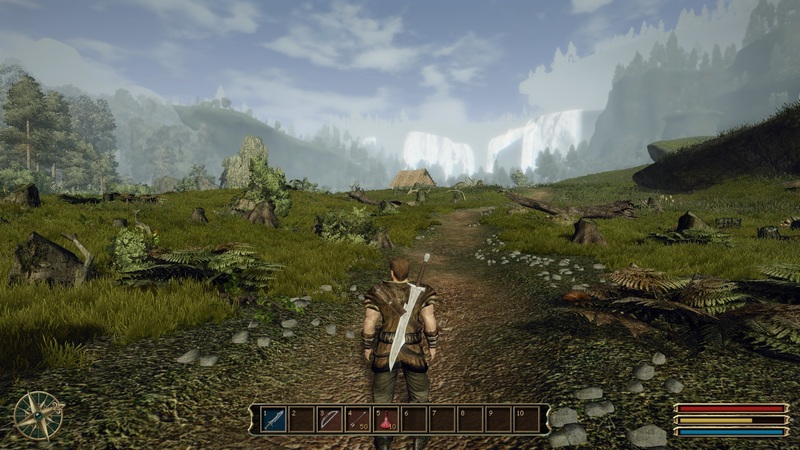 Additionally, a new version of the speedtree middleware was being used, which resulted in more three dimensional looking trees for Risen 2, in contrast to the sometimes flat looking vegetation of Gothic 3 and Risen. A volumetric fog in the distance added depth to the graphics. 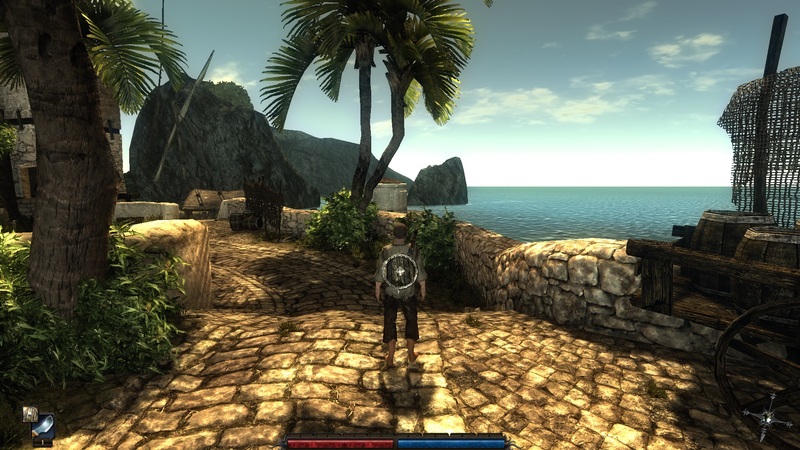 Risen 2 was the first Piranha Bytes game to offer anti aliasing by default, FXAA in this case. This filter detects edges and smoothes them, but adds fuzziness to the whole image and can't do a lot against sub pixel aliasing. For the terrain rendering Piranha Bytes integrated a terrain engine, so they could work with height maps, which were a lot easier to create and improve upon, instead of using a single big 3D model. The improved assets - models, textures and animations - made the biggest difference in the graphics though. Piranha Bytes used the substantially bigger budget of Risen 2 partially for outsourcing, so that the quality of objects and characters in the game made a big jump, which Piranha Bytes couldn't have lifted alone. A part of this were improved animations of course. On one hand, blend shapes were used for facial animations, on the other hand combat animations were created with motion capturing and looked a lot better. Morpheme was used as the new animation middlewere and is still in use today. Risen 2 had some graphical problems though: The shadows tended to flicker, which was reduced with driver updates, but not entirely fixed. The vegetation was configured so that it morphed when coming closer, it contracted and extended again, to always look dense, which annoyed quickly. The level of detail system was very aggressive in Risen 2 as well, so that objects faded in very late or changed their shape. Both problems were reduced with later patches, but not entirely removed. This time Wizarbox not only developed a version for Xbox 360, bur also for Playstation 3, both which were sub-par. Nearly two years later the last part of the Risen series so far was announced, Risen 3: Titan Lords, which was released in autumn 2014 for Xbox 360, Playstation 3 and PC. With this part Piranha Bytes turned around again after the pirate-heavy Risen 2, combined the setting of the direct predecessor with some elements from the Gothic series and Risen, and improved the gameplay, so that the title's reception by the fans was better again. The engine was improved as well. 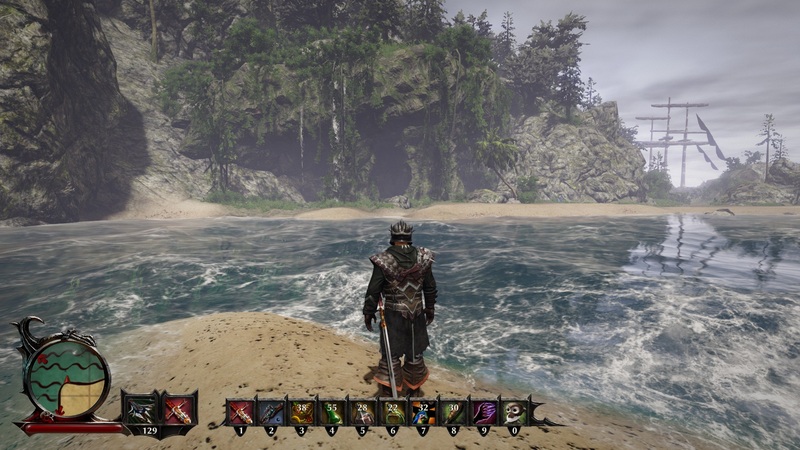 For Risen 3 Piranha Bytes has improved on the engine from Risen 2: The renderer may stayed with DirectX 9, but was switched to a full deferred renderer, also physically based shading was integrated. Because of that surfaces and materials like stone, metal, water, leather and so on could be rendered more realistically. 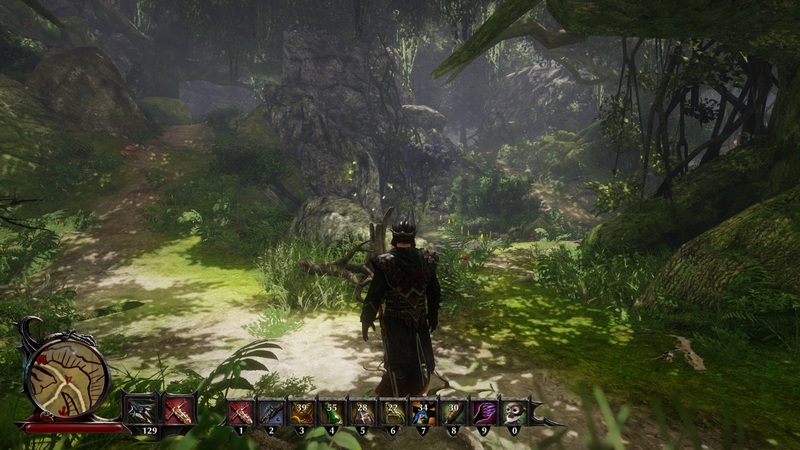 Further improvements were new shadows, which didn't flicker anymore, and in Risen 3 soft shadows again. The volumetric fog was expanded with volumetric fog shadows, which creates a godray effect, so the volumetric lighting was improved as well. Furthermore there was a new water simulation, which allowed ship battles in Risen 3. 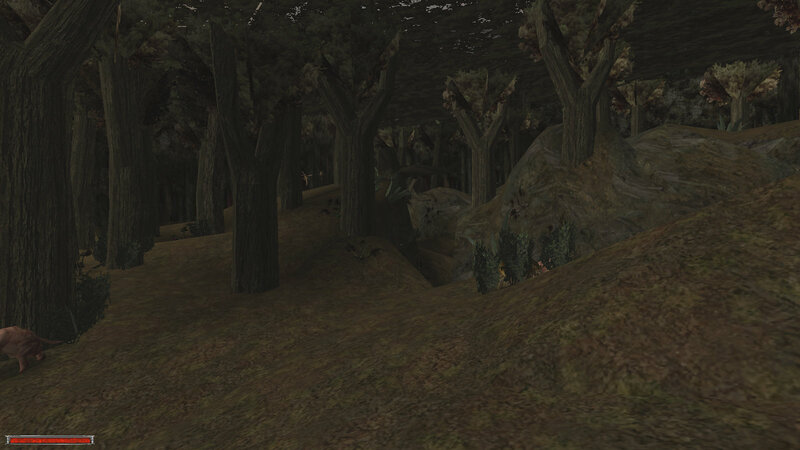 The LoD was improved and the morphing of the vegetation was fixed. There was physics for cloth and objects like barrels as well and wet looking surfaces at rain. With the help of motion capturing for gestures and new created animations their quality was improved. Last, the object density was increased, too. Instead of having to set waypoints manually this was done by the engine now, which reduced the amount of work by the developers. Also Risen 3 used a self programmed technology for occlusion culling again, which removes non visible objects from the calculations. Through engine optimizations the performance was on the level of Risen 2 on average, despite the better graphics, and sometimes even better, because in Risen 2 the shadows took a huge toll on performance. The multicore support and the streaming were improved, too. The console versions were made by Piranha Bytes this time in coopertation with a second developer and turned out okay at least. A year later the Risen 3: Enhanced Edition was released for PC and PS4 - Piranha Bytes' first game for the new generation of consoles, which ran a lot better here. 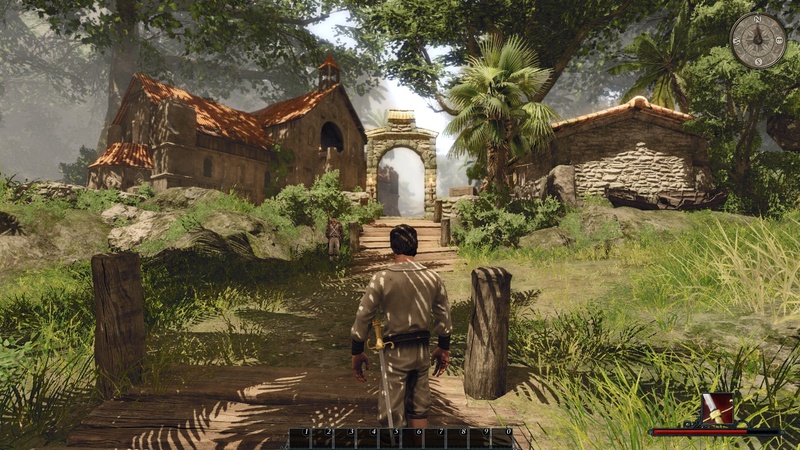 The Enhanced Edition had been ported by Piranha Bytes themselves again and included some graphical improvements. 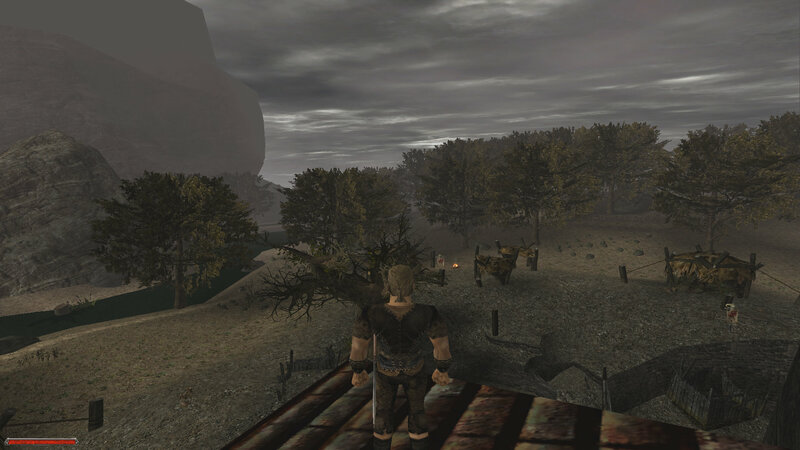 The engine requires a 64 bit system since then, which allowed for higher resolution textures and higher draw distances, which were both improved in the Enhanced Edition. Additionally, a new HDR bloom was introduced, as well as a new depth of field effect with bokeh and a new physically based cloud rendering. The Risen 3: Enhanced Edition also prepared for Elex, which will be released summer of 2017 on Playstation 4, Xbox One and Windows starting with version 7. Publisher this time isn't Deep Silver anymore, but THQ Nordic (former Nordic Games). 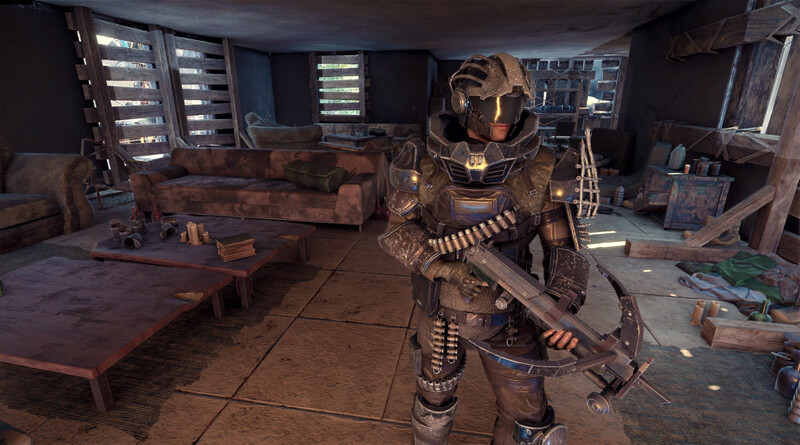 Elex is going to be a post-apocalyptic science fantasy RPG with a completely open world, which will be 1.5 times the size of Gothic 3. Again Piranha Bytes is doing the ports themselves and has further improved their engine to make their vision reality - and we have gotten exclusive informations by Piranha Bytes about the changes made to the engine. Piranha Bytes have improved their streaming technology even further, because no loading screen should disrupt the game flow. In order to do so, Piranha Bytes has separated the world into static and dynamic objects, and static objects can neither move nor are they saved in savegames. 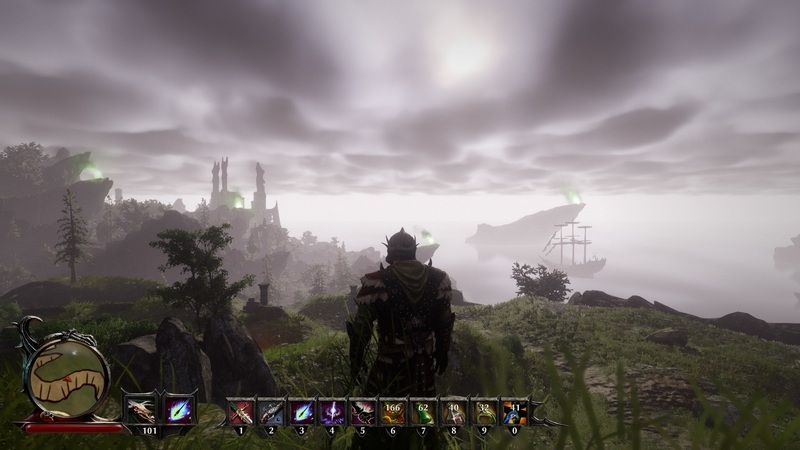 The static scenery is stored memory and performance efficient and loaded in the background, while the dynamic scenery is loaded at the game's start. In order for Elex to profit more heavily from more processor cores, Piranha Bytes have parallized the whole rendering. Additionally, the game logic is running in parallel to the rendering as well. Furthermore an additional waypoint based system was placed next to the polygon based pathfinding system, which allows for navigating NPCs through the whole game world. The graphics make a huge jump, because DirectX 11 is used for the first time, which offers many new features compared to DirectX 9 according to Piranha Bytes, which open up entirely new possibilities. Piranha Bytes is heavily making use of Direct Compute and of the possiblity to write to any point inside a buffer or a texture (unordered access writes). Thereby effects like an unified volumetric lighting and Line-Sweep Ambient Occlusion are possible, which can't be implemented with a conventional pixel shader. The volumetric lighting system was completely revised according to Piranha Bytes, it's now physically based as well. 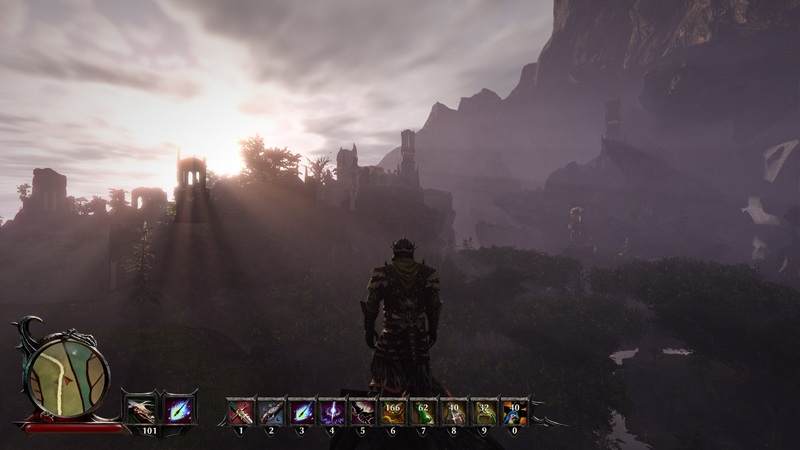 Differently from Risen 3, in Elex all lightsources, shadows and global illumination are included into the volumetric lighting. Also compute shader are being used in order to improve performance, for example at filter operations or the occlusion culling. Furthermore Piranha Bytes' material system supports the tesselation of any object. The renderer was switched to a Forward+ renderer. This renderer has lower memory needs compared to the deferred renderer of Risen 3, because Forward+ renderer are directly creating the final image. Also with a Forward+ renderer it's easier to integrate special materials like hair, skin or other (physically based shading). Also transparent and solid objects can be treated equally. With Forward+ the use of conventional MSAA anti aliasing is possible as well, which would need a lot more performance and memory with a deferred renderer. In Elex this can be combined with SMAA or FXAA. A new graphical effect is global illumination, which calculates indirect lighting, through which the graphics seem a lot more realistic. Because of the high performance impact of realtime GI, GI is precalculated in many games and games with a day and night cycle often don't use GI. The use of global illumination together with a day and night cycle in Elex thus is a huge technical challenge. Piranha Bytes have mixed several approaches: For diffuse they create an unstructured grid of light probes in a pre-step, and each probe contains several informations, which are necessary to relight them with the current lighting situation in runtime. The light probes are then linked to a volume with the help of tetrahedral interpolation, so that the indirect lighting can be retrieved for every point in space. Furthermore Piranha Bytes prevent that indirect light propagates through thin walls, which is a typical problem of volume based global illumination. For reflexions Piranha Bytes calculates cubemaps for different points in space, which are adjusted to the current lighting situation and then interpolated with the help of the grid already used for diffused lighting. 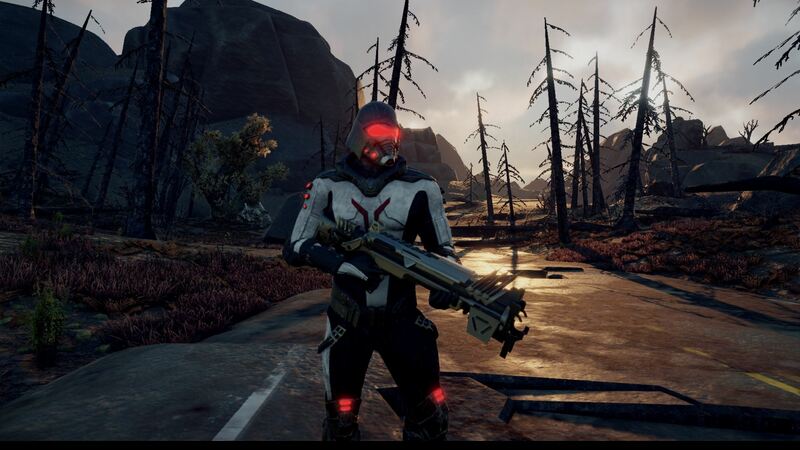 A further improvement in Elex is a physically based camera, a virtual camera operating according to physical principles. Certain variables which depend on each other like opening of the lens and a resulting blur are physically simulated. The ambient occlusion is improved as well: The player will have the choice between Horizontal Based Ambient Occlusion (HBAO) and Line-Sweep Ambient Obscurance (LSAO). Both are Far Field Ambient Occlusion techniques, itself a lower mold of SSAO. HBAO is suitable for weaker machines, while LSAO offers a substantially better quality. In the process of calculation, rays are being sent across the depth field in different directions. Furthermore, grass is casting shadows for the first time in a Piranha Bytes game on itself and the environment, which makes it look more realistic and let it integrate into the environment seamlessly. Also all models, including the characters, are more detailled, the textures are of a much higher resolution and the animations are more lifelike. Elex won't get support for DirectX 12 or Vulkan though, because both APIs weren't available when the development started and Piranha Bytes doesn't have the time right now to integrate them. According to Piranha Bytes, Vulkan is an interesting alternative to DirectX though.